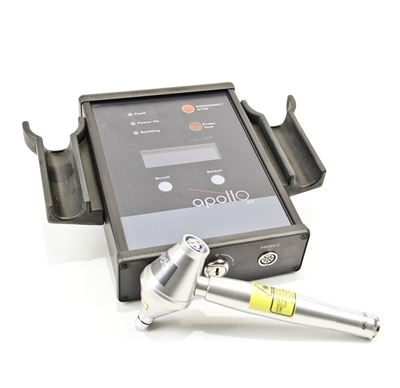 The Apollo desktop unit is a class 4 cold laser system that can operate 2 emitters simultaneously. The emitters range in power from a 500 mW point probe to a quad-cluster 5,000 mW emitter for covering large areas. The high power can deliver optimum photon density in a shorter period or it can be used to blanket the injury for an anelgesic effect. At a cost of only $1.71/mW, this system delivers the best power to cost ratios of any continuous wave product. This system has the power to saturate tissue to provide the ultimate in pain relief. Another benefit of the Apollo is the system is extemely easy to use. The only variable to set is the duration of treatment. In many cases, you use a default 2-minute treatment and must move the probe around or just push the stop button for a quicker protocol. This product can only be sold to licensed professionals for treating humans and companion animals. It can be sold to non-licensed professionals for equine use. 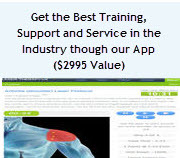 You no longer have to look up a condition in the manual and then do manual calculations to adjust for skin color, patient size and therapy goal with this new system. In just seconds, you can customize a protocol and let the app do all the math. For those who have experience with cold lasers, you may know many older protocols missed the current standard by up to 1000%. 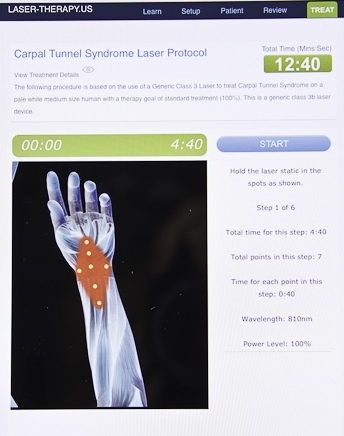 Using 7 different variables (laser output, pulse rates, power level, patient type, skin pigment, patient size, treatment goals and condition), the Laser-Therapy.US system calculates and controls the treatment plan for the best results. Apollo Cold Lasers were recently discussed in the NASA Tech Briefs (Nov 2009). 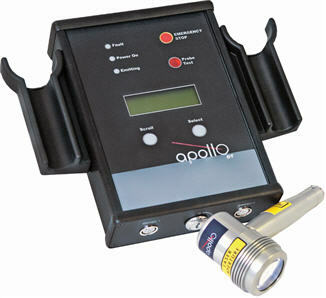 The Apollo laser system comes with a 2 year Parts & Labor and does not require any mandatory servicing.